Black Barn is a locally sourced, rustic barn-inspired restaurant serving upscale farm-to-table fare. A 3-level space, Black Barn is a large homey venue suitable for any private or corporate event. 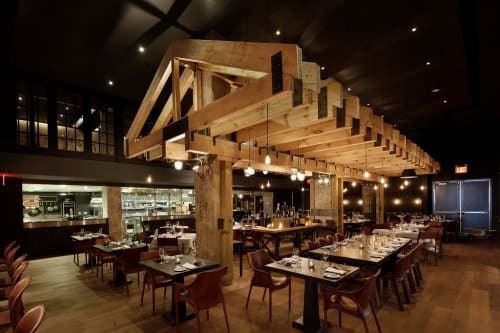 Their largest private room and premier function space is their loft which is located on the mezzanine level of the restaurant Main Dining Room: Delightfully designed with a modern “barn” ambiance. Up to 160 guests. Tavern: The Tavern overlooks Madison Square Park. Reserve the space for cocktails and light fare. Their largest private room and premier function space is their loft which is located on the mezzanine level of the restaurant and can suit 120 guests.